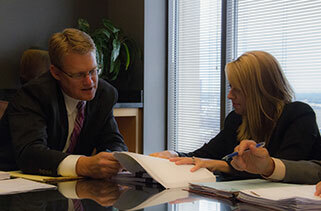 Lindner & Marsack, S.C. knows a lawsuit can be, at best, a serious distraction for a business. Lawsuits of all kinds, from disgruntled employees suing for wrongful discharge to sexual harassment allegations, take time and money away from the bottom line. The labor and employment law attorneys of Lindner & Marsack, S.C. stand firmly on the side of management, defending employers and their managers when litigation is unavoidable. The firm's litigation team is not only highly experienced, but innovative and aggressive in defending employer rights to achieve desired results.